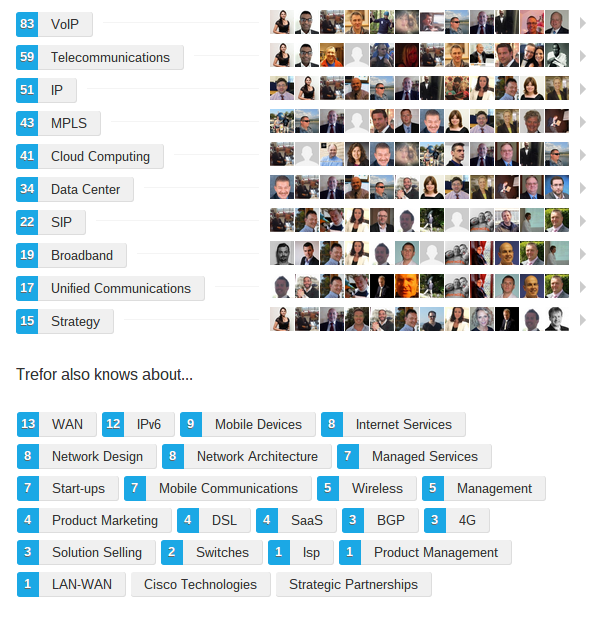 Started getting load of LinkedIn congrats this week. I couldn’t understand why. It was happy anniversary in the job type stuff. I asked someone what it was for and turns out I’ve been on the ITSPA council for ten years. Actually that is wrong. ITSPA is now, in its current form, 11 years old and I was there at the start. What’s more there was an ITSPA before ITSPA. After a year we relaunched it formally with a professional secretariat. I must at some stage have guessed the start date and stuck that down in LinkedIn at some point. None of it really matters. ITSPA itself has changed significantly in that ten (eleven (twelve?)) years. When we first began there were probably fewer than 10 ITSPs in the UK. I had an instance of a SIP Express Router with a free service but next to no one on it. Now we have 80 or 90 members and hold big (ish) events at posh spots in town. In the meantime don’t stop the congrats a coming. It must be said that LinkedIn makes it really easy for people to push these messages to people by shoving them in your face every time you login to the site. This is especially the case when it come to endorsements. I often get endorsements for skills from people who I know darn well will have no idea what that skill represents. Either thats or for such generic knowledge bases such as “Trefor really knows his stuff when it comes to telecommunications”.